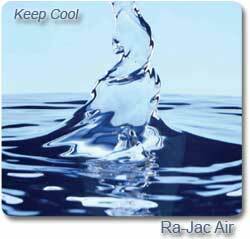 Welcome - Welcome to the Ra-Jac Services Air Conditioning and Heating Resource which offers free information to help you repair or replace a residential or commercial air conditioning, heating or commercial refrigeration system for your home or business. 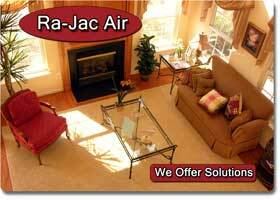 Since 1966 we have taken great pride in providing quick and exemplary residential or commercial service to the Galveston Bay Area and Harris County areas to help keep your home and office air conditioner and heater working efficiently and effectively. Your comfort is our top priority. Our Texas Service Areas -- If you are in the Algoa, Arcadia, Bacliff, Bayou Vista, Clear Lake City, Clear Lake Shores, Dickinson, El Lago, Friendswood, Galveston, Hitchcock, Kemah, La Marque, League City, Nasa Area, Nassau Bay, San Leon, Santa Fe, Seabrook, Taylor Lake Village, Texas City, Tiki Island, or the Webster Texas areas and want a professional to service, install, or maintain your air conditioning, heating or air cleaning and filtration system please contact us at (409) 945-4171. Free Resource - Let us help you find an air conditioning and heating contractor, save money on your AC or heater utility bill, decide whether to repair or replace your unit, get information on how to get free estimates on new equipment installation or a list of maintenance procedures you should expect from a professional inspection of your HVAC system and other general information relevant to the heating, cooling and refrigeration industry. Home Improvement Clinics - Visit our online clinics to find information on making some small repairs and other home improvement projects to improve the efficiency and usability of the unit you have. You will learn how to maintain your system yourself and many other useful and money saving techniques. Order Parts from Our Online Air Conditioning and Heating Parts Counter - Take the guesswork out of shopping for high quality air conditioning and heating parts for your home or office. We offer only top quality parts that the professionals are using. Let our 40+ years in the air conditioning, heating, ventilation and refrigeration industry work for you. Since 1966 - In 1966 our company was founded to provide professional and affordable residential, commercial and industrial air conditioning and heating service and the installation to our customers in and around the Galveston County and Harris County Texas area. Our goal is exemplary service built on honesty, education, certification, and high ethical standards. As a result we are quickly growing into one of the leading heating and air condition service companies in the Southern Texas area. We Can Handle Special Challenges - From the special considerations of salt and the code restrictions inherent in Galveston Air Conditioning Repairs and Installation to the growing need for quality Air Conditioning and Heating Service Installation and Repair in League City we provide top notch service to the Galveston County and select Harris County Areas and beyond to keep your home and office air conditioner and heater working efficiently and effectively. Your comfort is our top priority. Call us today. Contact Us for Air Conditioning, Heating and Refrigeration Service and Installation in Galveston County Texas and Harris County. General Information on Air Conditioning, Heating, Ventilation, and Refrigeration - This is a large section of our site that covers everything from Air cleaners to Zoned Systems. 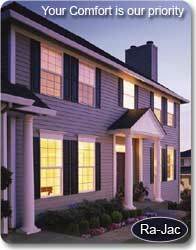 You can find a little bit of everything here from the history of air conditioning to information on air cleaners, humidifiers, dehumidifiers, Carbon Monoxide Detectors, filters, central air conditioning, Central Heating and electric furnaces and gas furnaces and how they work, Evaporators or Evaporator Coils, Filters for Air Conditioners and Heaters. Refrigerant and Refrigerant leaks, Heat Pumps, indoor air quality, recycling refrigerants, Thermostats, Two Speed Central Air Conditioning, black mold, Willis Carrier, window units, and a host of other things to help you air condition or heat your home.